I have written several popular e-book user’s guides for most all of the current Canon and Nikon dSLR cameras, and they are available for purchase at my Full Stop website (www.fullstopbooks.com). I am sometimes asked if I write user guides for compact digital cameras. 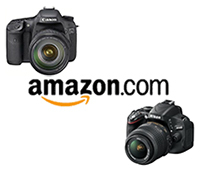 I do not write books for those types of cameras but rather focus on Canon and Nikon digital SLR (dSLR) cameras, ranging from the enthusiast models to the high-end models, as can be found on this site. If you are looking for excellent guides for advanced compact digital cameras, such as the Sony DSC-RX100 II, Panasonic Lumix DMC-LX7, Canon PowerShot S110, Nikon Coolpix P520, and many others, I can recommend a series of comprehensive, clearly written and fully illustrated guides by Alexander S. White, a very experienced photographer and writer. His guides are available in printed paperback versions as well digital downloads in PDF, Mobi, and ePub formats. You can learn more about Alexander’s guides at his White Knight Press website at http://whiteknightpress.com/, which offers guide books for advanced compact digital cameras. My colorful photo book Faces of Celebration: Photographs of Peru is available from Blurb. I am unable to download the setting sheet. Where can I get it? Hi, I’ve bought the Amazon version of the D850 book and I was wondering if I qualify for the free setup spreadsheet, I can’t seem to find any reference to it in the book.